A power cord, also known as a line cord, or mains cable, is an electrical cable that connects appliances to a main electricity supply such as a wall socket or extension cord. 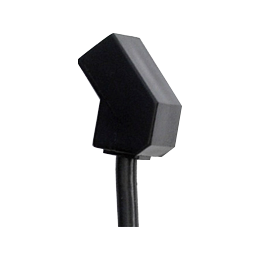 Pelonis carries straight 180, 90, 45 degree, and T-type power cords in 12", 24", 36", 48", or 72" lengths with open wires or standard NEMA wall plugs. Custom lengths available upon request. UL, CSA listed, RoHS compliant. All guards are designed for optimal fan airflow and noise reduction and to ensure safe operation. Fan guards help filter contaminants and shield EMI/RFI. Fan trays draw room air into systems to maintain an acceptable operating temperature for components. One of the main benefits of fan trays are that they can be positioned in high heat generating spaces. Our designs include the standard single tray (3 fans), or add up to 2 additional modules and position them in the most heat sensitive areas of the enclosure. Air conditioning blowers are the fans inside of an AC unit that blows air inside a cooling coil that transfers the air into an arctic blast that refreshes components and spaces. 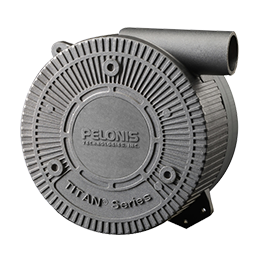 Pelonis Technologies' innovative compact blowers include standard designs and fully customizable TITAN series models. 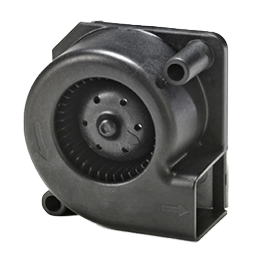 These blowers include "Intelligent Motion Controls," these blowers increase end-system performance and ensure long-term reliability. 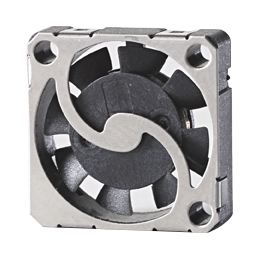 Micro blowers are cooling products that are small, lightweight, have low power consumption, and reduce heat generation. 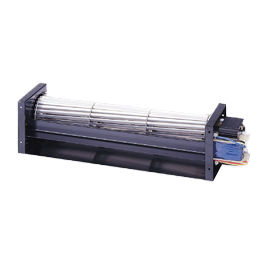 They are ideal thermal cooling solutions for applications with limited space with restricted power budgets. Cross-flow fans produce a laminar airflow to keep components from overheating. 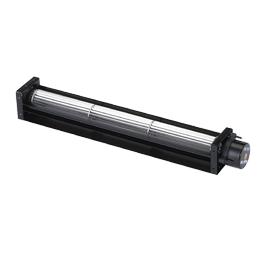 They have an AC shaded type motor, temperature resistant aluminum alloy, and ball or sleeve bearings. 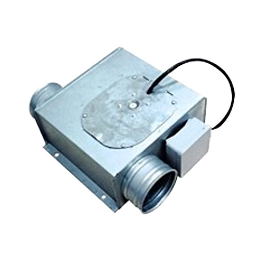 These fans deliver a two-dimension flow and can be mounted horizontally or vertically, specially designed to minimize vibration and maintain low noise ratio. Cross-flow fans produce a laminar airflow to keep components from overheating. 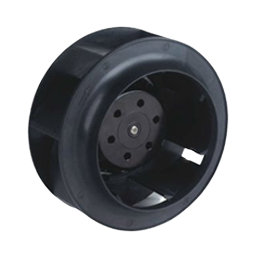 They have a DC brushless type motor, temperature resistant aluminum alloy, and ball or sleeve bearings. 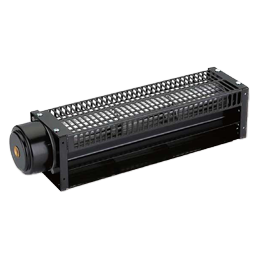 These fans deliver a two-dimension flow and can be mounted horizontally or vertically, specially designed to minimize vibration and maintain low noise ratio. Cross-flow fans produce a laminar airflow to keep components from overheating. EC cross-flow fans have Electronically Commutated (EC) motors are made with temperature resistant aluminum alloy, ball or sleeve bearings. 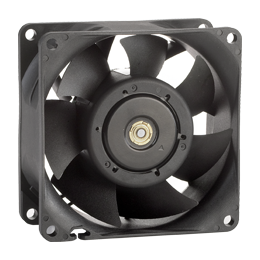 These fans deliver a two-dimension flow and can be mounted horizontally or vertically, specially designed to minimize vibration and maintain low noise ratio. Centrifugal fans move air radially and the direction of the outward flowing air is changed usually by 90° from the direction of the incoming air. The airflow created is directed through a system of ducts or tubes, and requires a higher power input. The AC centrifugal fan has a high efficiency inlet design, lubricated maintenance-free ball bearings, vibration-free operation, and a compact, rugged construction. Centrifugal fans move air radially and the direction of the outward flowing air is changed usually by 90° from the direction of the incoming air. The airflow created is directed through a system of ducts or tubes, and requires a higher power input. 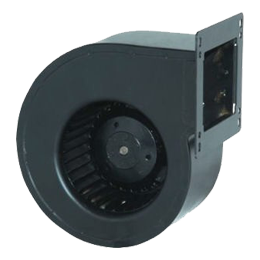 The DC centrifugal fan has a high efficiency inlet design, lubricated maintenance-free ball bearings, vibration-free operation, and a compact, rugged construction. HVAC axial fans efficiently move large quantities of air in high static pressure situations. 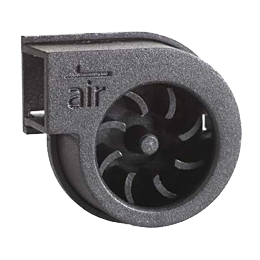 Air movement is parallel to the shaft of the fan. With high-efficiency inlet designs, lubricated maintenance-free ball bearings, and vibration-free operation, HVAC axial fans operate in temperatures from -30° to +60°C with 40,000 hours of operation. 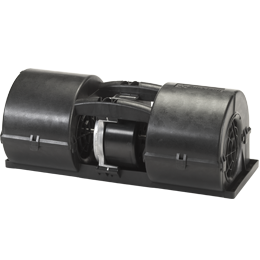 Inline duct fans help increase and maximize airflow to a room that’s too cold in winter or too warm in summer. These fans help increase heating and cooling efficiency and save energy, often reducing utility bills. Twin centrifugal blowers are compact and easy to install and also include Pulse Width Modulation (PWM) that enables speed control operation. New designs include Electronically Commutated (EC) DC motor technology that provides greater energy efficiency and can operate from -40 degrees to +85 degrees Celsius. 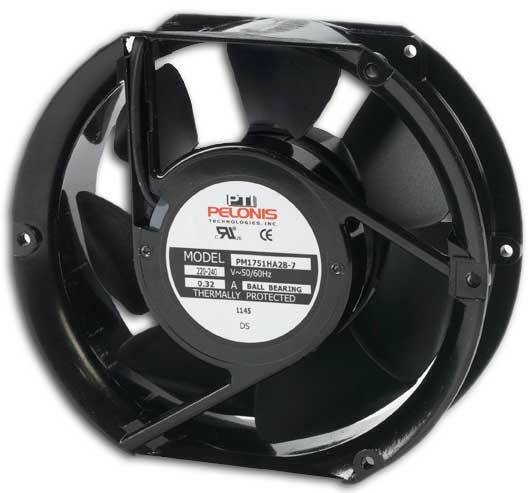 Pelonis Technologies’ Condensation/Evaporation automotive fans are quiet, very efficient, lightweight, and have an operating life of over 20,000 hours. New designs include brushless DC motor technology featuring air dynamic impellers that reduce noise and vibration. 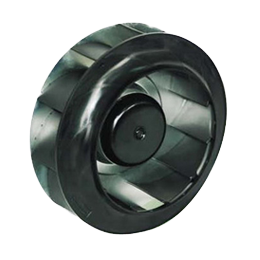 With blades that curve in the direction of the fan wheel's rotation, forward-curve centrifugal fans are suitable for high flow applications. These fans curve in the direction of the wheel rotation. Because of this forward curve, centrifugal fans will accelerate the air to a high velocity while rotating at a much lower speed. 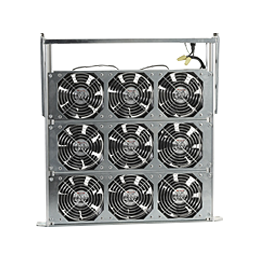 Pelonis Technologies Inc. provides alternating current (AC) fans in a large range of configurations. 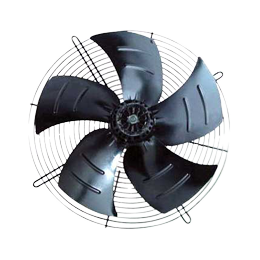 Offering unique, multi-blade designs for increased airflow, PTI’s AC fans are also equipped with high-quality long-life bearings for quiet operation as well as safety features to meet stringent standards. DC fans from Pelonis Technologies Inc. offer reliable, quiet and cost-effective capabilities that function best under a low-pressure environment. Additional advantages include a long life span and 60% less power consumption compared to other fans. 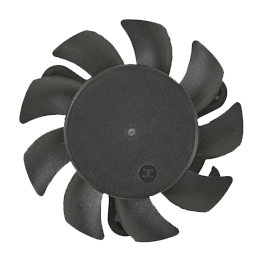 Pelonis Technologies Inc.’s innovative micro fans are uniquely engineered to meet the needs of today’s demanding applications. 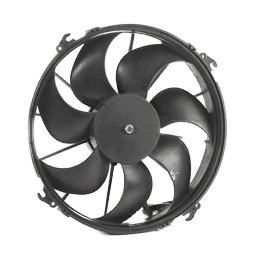 Micro fans have a long operating life, are energy efficient and manage heat generation effectively. 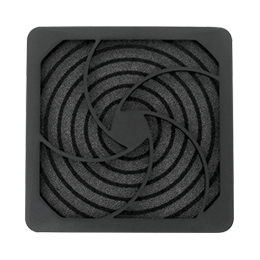 Pelonis Technologies Inc.’s innovative frameless fans are uniquely engineered to provide advanced thermal cooling for applications that have limited space. PTI’s frameless fans provide optimal cooling performance and can be mounted directly onto circuit boards or into custom enclosures.